WaterAid is an international non-profit organization whose mission is to transform the lives of the poorest and most marginalized people by improving access to clean water, sanitation and hygiene. 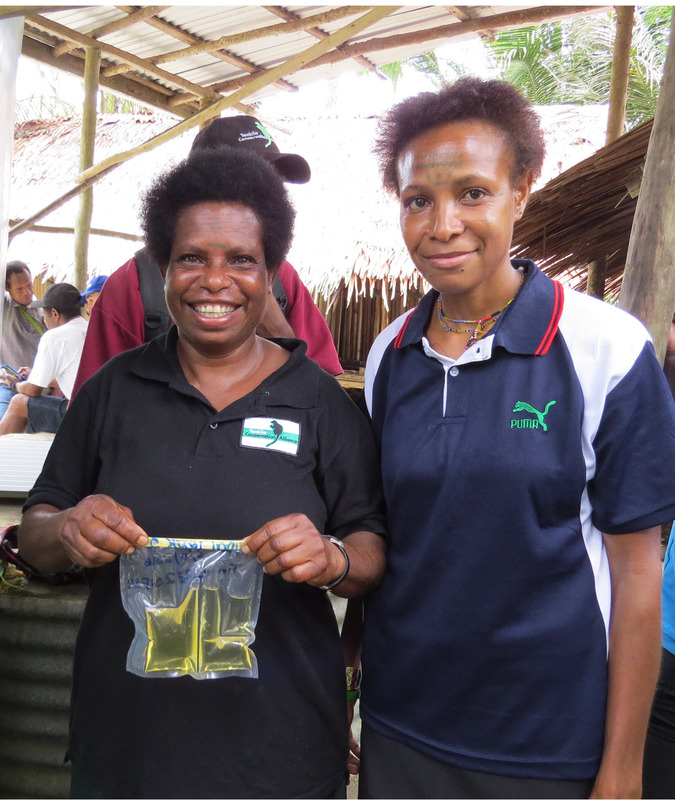 Wateraid Australia has a long-standing partnership with Tenkile Conservation Alliance (TCA), a conservation organization in Papua New Guinea. 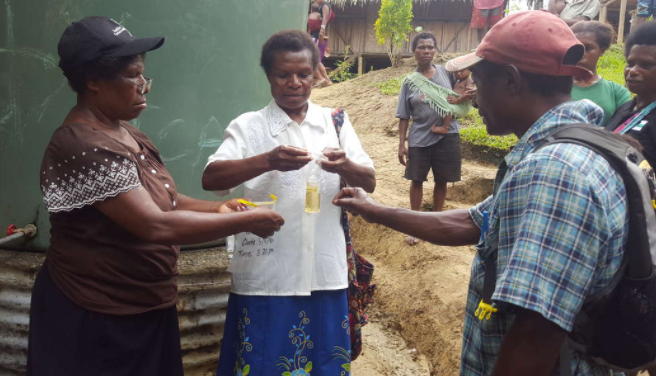 Together, they provide improved drinking water supply and work to improve sanitation and hygiene practices in the Torricelli Mountain Ranges, which are located within a very remote area across two provinces of Papua New Guinea (PNG). This region encompasses three districts containing 50 villages and a population of approximately 12,500 people. WaterAid Australia uses the Aquagenx CBT E. coli Kit to detect and quantify (MPN) E. coli bacteria because it is a simple test that can be used by anyone with a basic level of training and minimal capacity. WaterAid provided CBT Kit training to TCA cluster coordinators, and they continue to support TCA to expand their routine water quality monitoring, operations and maintenance of rainwater harvesting systems. Australian Aid funding supported the WaterAid and TCA partnership to purchase affordable Android smartphones and Aquagenx CBT kits for use together in routine water quality monitoring. The free mWater mobile app was downloaded onto the smartphones to calculate CBT Kit test results, create surveys and map and share test results in real-time. Many of the TCA coordinators had never used a smartphone before and were excited and motivated to receive smartphone data collection training. Training included how to link quantitative Aquagenx CBT Kit E. coli water quality results to the water point, and water point mapping using the mWater app and smart phone technology. TCA coordinators have conducted E. coli testing and sanitation surveys using the Aquagenx CBT E. coli Kit and mWater at 50 rainwater harvesting systems as well as 50 unimproved dug wells and surface water sources. The aim of these measurements has been to raise awareness of water quality, improve rainwater harvesting system management and discourage the use of unimproved water sources such as unprotected dug wells and surface water for drinking without point of use treatment. 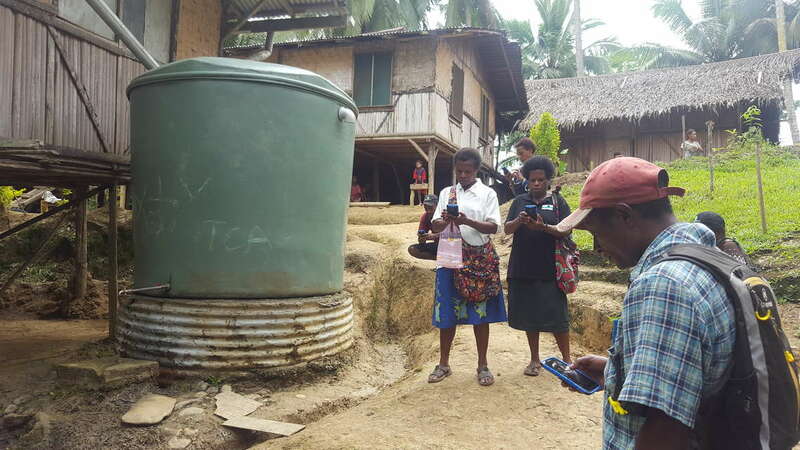 WaterAid Australia believes using the Aquagenx CBT E. coli Kit together with the mWater mobile app ushers in a new era of institutional WASH monitoring. Access to digital information and real-time data improves water safety program decision making and outcomes, and the sustainability of WaterAid’s work. In the future, WaterAid Australia wants to extend this kind of training and support to district level government, with the long-term goal of implementing a joint monitoring program between TCA and local civil society groups, WaterAid and government. TCA and WaterAid Australia would also like to present use of the Aquagenx CBT Kit for quantitative E. coli testing to government partners at national, provincial and district levels to expand water quality awareness, knowledge and ongoing monitoring.